Langtang Ganja la Pass trek | Adam Tours & Travel Pvt. Ltd.
Langtang Ganja la Pass trek is specially designed off the beaten trail that highlights the Langtang region of Nepalis and descendant of the Tibetan origin, they still look like Tibetans. These treks are adventurous and unique than other trekking in Langtang region. Langtang ganja la pass trekking offers panoramic Himalayan views with beautiful Langtang valley and Helambu valley. Ganja la pass trek follows through alpine forests, rich flora and fauna and high altitude pasturelands. The attraction the Langtang region is that it’s so close to Kathmandu and yet it’s as wild as any Tibetan highlands. The northern parts of the area largely fall within the boundaries of Langtang National Parks. The main ethnic groups here are Sherpa and Tamang whose religious practices, languages and dress are much similar to those of Tibet. The forests in this region have moderate temperate, sub- alpine vegetation and diverse wildlife. We start our tail from Syabru Bensi and follow the Langtang River to the east until you get to Kyanjin Gompa (3,049) where a small Buddhist monastery and a cheese factory started in 1955 by the Swiss Association will be worth visiting is located. We also make an interesting excursion to Tserko Ri (5,000m/16,404ft) which offers tremendous views of the Langtang Himalaya range. The highest point of this trek is Ganja la Pass (5122m). On the Ganja la pass, you can find it covered with snowy ice most of the times throughout the year. The pass provides a majestic panoramic view of the Langtang Lirung and the snowy summits of the Tibetan border. Lantang Ganja la Pas trek include the Spectacular mountain views of Langtang Lirung, Dorje Lakpa, Mount, Gaurishanker, Ganesh Himal, Langshisa Ri, Gangchenpo, Yala peak and Naya kanga seems to be marvelous throughout the way. After passing the Ganja la Pass, the trail takes you to Melamchi Gaon and Tarke Ghyang. The trail follows a small valley before reaching the glaciated pass where using of ropes, crampons and ice axes may be exciting. The trail explores a variety of natural splendors, from lush valleys alive with languor monkeys to the towering fir and rhododendron forests bursting with spring color. The Langtang forests are also well known for their wildlife including red pandas, Himalayan black bears and wild boar and for rare tree orchids and the colorful rhododendrons. Langtang Ganja la Trek can be the best trekking destinations for all those who enjoy natural landscape and distinct cultural practices along with bio diversity and medley snow-capped mountains view. Toward the end of the trip, you will also trek through some beautiful rice terraces and a number of splendid Buddhist monasteries around the delightful villages of Tarke Gyang and Sermathang before heading back to Kathmandu. Crossing the Langtang Khola below Kyanjin Gompa the trail makes a steep climb through a forest of rhododendron and juniper. The trail goes on ascending high Himalaya area covered with little natural vegetation. We must have to well manage for shelter and food by ourselves. Sometime we have scarcity of water and miss the group on the puzzle trail. Then the trail reaches the yak pasture of Ngegang, full of worth able breathtaking mountains scenery and pure of nature beauties. You can see Yaks peacefully grazing and spend your night at tented camp. The trail continues south, following streams and moraines and climbs steeply towards the pass. The trail makes a final steep ascent to the pass, from the pass the trail descends steeply and enters the Yangri Khola Valley. It’d be a strenuous day since crossing Ganja La is one of the difficult passes. On the Ganja la pass, you can find it covered with snowy ice most of the times throughout the year. Make the long ascent through the boulders, pass the small lakes, and summit the Ganja La which situated on a rocky moraine. The pass provides a majestic panoramic view of the Langtang Lirung and the snowy summits of the Tibetan border. Climbing up and down the pass can sometimes be tricky due to snowfall and ice. Following the stream through grassy meadows, the trail reaches Keldang where we will set our camp. This is a long tiring day. 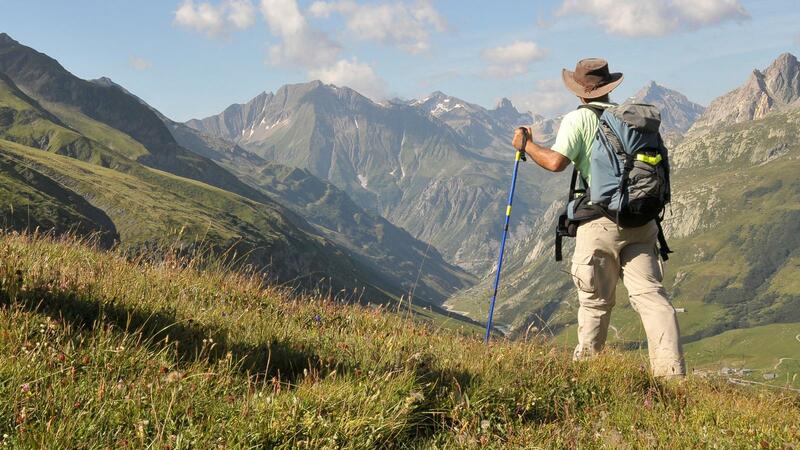 The trail descends along ridge, grassland, with amazing views of Mountain and its surrounded nature beauties. Then follow the ridge line through small settlements of the villagers of Helambu. You will reach Dukpu where inside the forest we will set our camp. From, Dukpu the trail descends, and then make a climb to a pass. The views from Pass are spectacular towards the Annapurna Region, Mt. Everest region as well and native mountains. The trail descends through forest with pine and rhododendron, and then drops steeply to Gekye Gompa. Its steep descent passing tiny herder’s to the settlement of Tarkeghyang. You can visit one of the oldest Buddhist monastery and picturesque Sherpa villages. Today the trail is quite easy through flat land with beautiful forests. The trail leads us cross small forest with the view of beautiful village of Helembu region. The trail makes a sweep around the wide valley end between Parachin and Sherpa village of Gangyul of Khumbu region. Sermathang is another pretty Sherpa village where you can visit many ancient monasteries and view of Jugal Himal range. In the clear day the villages provide good views of Ganesh Himal, Langtang, Gosaikunda and Rolwaling; even Everest also in a distance. Twin sharing Tea house/Lodges Accommodation down part of the trek and Tented camp in upper part. Alcoholic, soft and hard drinks. Best Travel Time: March – May , September – November are the best season for this trek.